Buffalo plays an important role in trade and commerce in United States. It facilitates the ease of conducting commerce and business between Canada and the United States as a city near the border. Buffalo has increasingly become a center for bioninformatics and human genome research, including work by researchers at the University of Buffalo and various private institutions. It's also center for regional banking. Our translation services help the businesses of Buffalo to expand into all segments of the world. The City of Buffalo is predominantly known as the second largest city in the state of New York. The city is located on the edge of Niagara River which flows in the North direction towards Niagara Falls, draining into Lake Ontario. The climactic condition is quite moderate. It is relatively sunny during summers but experience proper rainfall to maintain its lush green vegetation. Buffalo is rich in electric supply and as a result, has been christened “The city of light.” It is also known for its advanced urban planning and has been acclaimed throughout the world for its impeccable architectural designs and culture that it possesses. Buffalo treats music and tradition with utmost respect, making it one of the culturally rich cities in New York. During the olden days, Buffalo was considered to be the manufacturing centre of New York. But due to deindustrialization, the economy of the city took a massive dip up to a point it was equated with the rust belt cities. Although the city was in such a mess and it experienced a huge exodus of the inhabitants due to the shutting down of industries, it tried its level best to re-emerge from those austere times. And now, Buffalo stands as one of the strongest cities in New York both economically and culturally. Culture - As mentioned earlier, Buffalo is a culturally rich city. Starting with the cuisine, it is listed among the “world’s top 10 food cities”. The city has given birth to some of the world’s best cuisine. People from all over the world visit the city to experience some of the best cuisine festivals such as the National Buffalo Wing-Festival. Art and Tradition - It is a traditionally rich city. Here, you would find more than 50 art galleries which happen to be a huge tourist attraction in the entire New York state. The Allentown Art festival allures tourists to explore the beautiful work of the artists making it one of the respected places in the state of New York in terms of art and tradition. Commerce - Buffalo also acts as a major port of the St. Lawrence Seaway. It acts as the terminus for the New York State Canal system and is considered to be a major rail centre in New York state. As mentioned earlier, the city controls the lion’s share of on-going trade between United States and Canada. The International Peace-Bridge to Ontario that leads out of the city serves as a pillar that preserves international relations between United States and Canada. 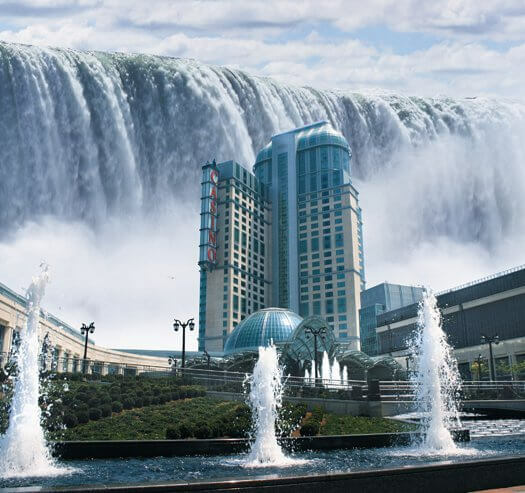 The city comprises of the famous Niagara Falls on Niagara River that acts as an important tourist spot not only in New York State but for the entire world. Education - The city is home to one of the oldest institutions of higher education in New York State. The University of Buffalo has received appreciation for rendering world class education and producing some of the greatest people in various fields such as academia, commerce, politics etc. Though the city is considered to be culturally and traditionally rich, it is also known to be one of the best hubs for the provision of translation services in New York State. This is made possible through On Dot Translation, which is a New York based translation agency that thrives to provide accurate and authentic translation services to its clients drawn from within the city and even beyond. In order to expand their franchise, On Dot Translation had to establish their agency in Buffalo which as has already been mentioned, is a strategic point for commerce and trade as well as education and cultural exchange.